Join Dr. Art Petronis, the University of Toronto, CAMH and Don Tapscott and Ana Lopes in breaking new ground on the causes and effective treatments of schizophrenia. Your donation will receive a full tax receipt. Please click here. It is time for a sea change in our attitudes toward mental illness. Current medications really only treat the psychotic symptoms (paranoid thinking and hallucinations). They don’t in any way address the underlying abnormalities in the brain (caused by obstetrical trauma, genetic abnormality or other factors) that appear to develop during adolescence or earlier. Soon, there could be ways to help the brain follow a more normal developmental course. Today we have nowhere near the proper level of funding. Research into schizophrenia, depression, bipolar disorders and other psychiatric disorders has been maintained at a paltry level compared to other major disease groups, such as cancer, heart disease, stroke, AIDS, or Alzheimer’s. Quantum leaps in understanding illnesses of the brain will only come if funding is brought up to the level available for the study of these other diseases. If we are really serious about addressing these problems, then funding has to be brought even higher so that the most capable scientists will gravitate to this research area as has been done in the case of AIDS research. 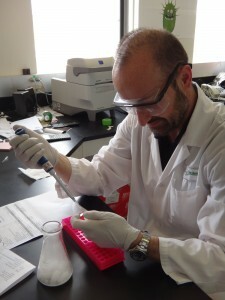 There is simply no excuse for the meager number of research dollars currently made available. We are doing cutting-edge research to understand how the environment affects schizophrenia genes, and how proteins in your brain could be the key to permanently treating schizophrenia. You can help us with this critical work by making a generous contribution. At the Krembil Family Epigenetics Laboratory, we perform large-scale epigenome-wide studies of schizophrenia and other psychiatric diseases. "After 30 years of molecular genetic studies we can explain only about 2 or 3 percent of inherited predisposition to psychiatric disease." The good news is that some of these processes, unlike our DNA sequences, can be altered. 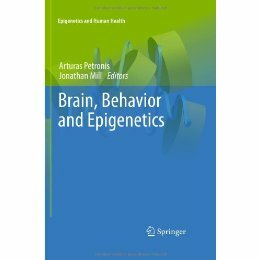 The book, Brain, Behavior and Epigenetics edited by Drs. Petronis and Mill, examines to what extent is the epigenome plastic and malleable in response to environmental influences.